The most awaited, upcoming international multi-sport event, the 2020 Summer Olympics is going to take place next year in 2020. The event is scheduled to take place from 24 July 2020 and is about to conclude on 9 August 2020. Tokyo, Japan is going to host the event and the motto of the upcoming Olympic event is “Discover Tomorrow”. There are going to be more than 11,000 athletes competing next year. However, there are going to be some changes in the game pattern, while there are also certain sports which are added new to next year Olympic event. So, through this article, we are here to provide you with the changes to watch out for when the Games get proceeding on 24 July 2020. In the Olympics, Archery has been a great sport since 1972, but in 2020 Olympics event it is going to a slight change in it. For 2020, it’s going to increase a mixed team event to the present men’s and women’s individual and team recurve events. A mixed team is a gameplay layout as teams of one man and one woman face off one-on-one. The event was firstly tested in 2010 and 2014 at the Youth Olympic Games and since 2011 it has been contested at the World Archery Championships. In this coming season of Olympic, BMX park is going to make its debut in 2020. It is basically contested at X Games and on the UCI world cup circuit. However, BMX racing was firstly presented at the Beijing Games in 2008. A park course is ultimately used for mutually skateboarding and BMX, and be similar to an empty, irregularly-shaped swimming pool. Riders will get three timed runs in order to put together their top routine for the judges. 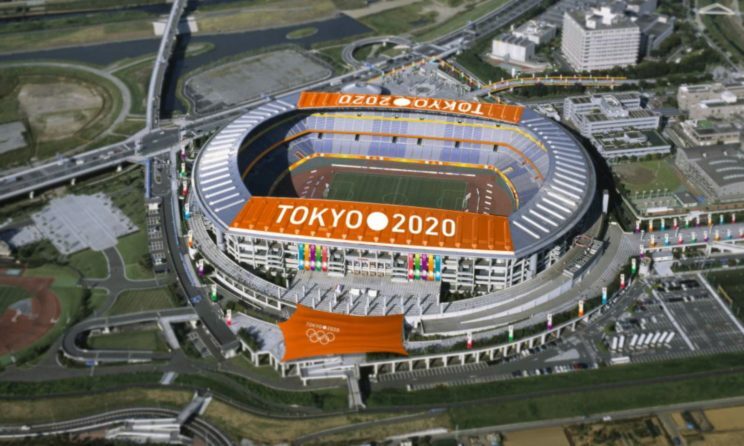 After a two- Games absence in Olympic program the Baseball and softball are finally making their return into 2020 Olympic Games. Baseball is basically for men’s and softball is the game of women’s and it might be more suitable to bring them back. Well, the 2020 Olympic is going to be held in Tokyo, Japan where most of the people are crazy for these two games. So, you can assume that the stadium is going to be fully packed when there will be the turn of Samurai Japan for playing. In this coming season of Olympic in 2020, there will be a mixed team event in Judo where every single country will make a team of three men and three women, each one from one of three weight classes. Judo suitably made its Olympic debut in 1964 at Tokyo, having been initiated in Japan in 1882. Karate is going to make its Olympic debut in 2020, which is also considered as a martial art native to Japan. Karate generally has two restraints: kata (forms) and kumite (sparring). The sparring tournament is broken down as weight class where there will be three each for men and women. For the first time in Fencing event in Olympics 2020, there will be six team events contested at the Games. Previously, the events would substitute with a diverse two sitting out each game. Men’s squad saber and women’s squad foil were not disputed in Rio, and they will be on the platform in Tokyo, as well as men’s and women’s squad epee, men’s squad foil and women’s squad saber. Four Olympic medals are at the present up for grasps in basketball with the adding of the 3-on-3 variant, which comprises of squads of four participants. 3×3 is basically a half-court game having a single basket where the shots from the inside arc will bring up one point whereas, shots from outside arc means two points. The first team who will earn 21 points or the team leading at the end of the 10-minute ruling time will win the game. In boxing too there are going to certain changes in the number of weight divisions. This time it seems like that the 2020 Olympic will turn out to be greater gender equality in Basketball. In 2020 Olympic, the number of men’s weight divisions will go down from ten to eight whereas women’s rises from three to five. 2012 Olympic was the debuting year for Women’s boxing and till now Team USA has won three medals since then. Meanwhile, Claressa Shields is the Women’s boxing champion as she won the middleweight gold medal in both 2012 and 2016. In canoe/kayak, for 2020 Olympic, an additional three events for women’s have been added and three dropped for men. In a sprint, women’s C1 200-meter and C2 500-meter are the newly added one, whereas men’s K2 200 and C1 200 is going to be dropped. There is going to be only a new event for men and that will be the K4 500 which is a four-person kayak. In slalom, women’s C1is going to make its Olympic debut, whereas, men’s C2 will be removed. Sport Climbing is yet another new sport for making debut in 2020 Olympics with an inclusive competition surrounding three events usually competed distinctly on the world cup circuit such as speed climbing, bouldering, and lead climbing. For Rowing competition event in 2020, the men’s lightweight four has been dropped and the women’s four is being added in its place. Since 1996, this is the first time that a change has been made in the Olympic rowing program. In the meantime, the Rowing events are going to take place in Tokyo Bay. In the Olympic Shooting program in 2020, there will be an added mixed team event. There will be duos of one man and one woman who is going to contest in air pistol, air rifle, and trap. In the Table Tennis Olympic program for 2020, mixed doubles are going to gets added, linking men’s and women’s singles and team events. Since 1926, it has long remained a fixture at the World Table Tennis Championships. Skateboarding is going to make its Olympic debut in 2020 with park and street tournaments for both men and women. However, the park course will be the same as the aforementioned BMX competition, while on the other hand, the street course comprises of ramps and rails for riders to put organized a diverse routine of tricks. In the Olympic swimming program, there is going to be one new distance added in both the men’s and women’s competitions, while on the other hand, one mixed gender event. The 800-meter freestyle links the men’s program, and the 1,500 free come to be added for women. Both distances have been included in the opposite gender’s program for a certain time. IPL 2019 Prediction: Which Team Will Win This IPL Season?